Winter and Hope are two peas in a pod! This turquoise sticker features Clearwater Marine Aquarium’s dolphins, Winter and Hope, swimming in friendship with a splat backdrop. 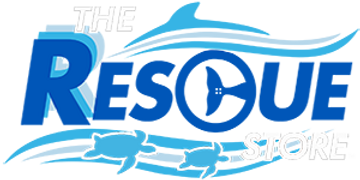 Stick this on binders, folders, notebooks and more to show off your love for Clearwater Marine Aquarium. Best of all, 100% of the proceeds from your purchase goes directly to supporting our mission of Rescue, Rehabilitation and Release of marine life, and the long-term care of our resident animals! I ordered this sticker for my Grandaughter as it matched the shirt I also bought her from here. The sticker is exactly as shown but it is small. I did not measure it but I am going to say approximately 3" X 4". She was very excited about it as it ended up being the perfect size for she put it on her pencil box at school. I think the sticker is adorable! Loved the movie and love the sticker. Had to have one in case I dont make it to Clearwater to buy one there!